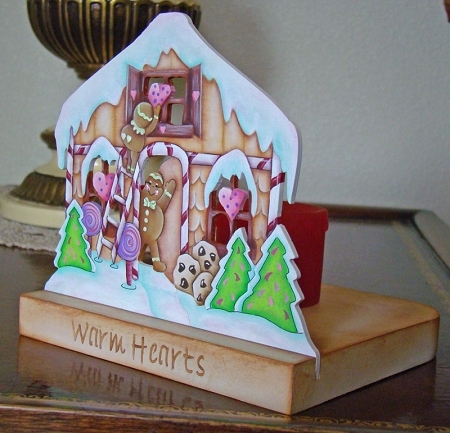 This project is the first in the series of seasonal tea light designs that is available. Place either a battery operated tealight on the base or a candle and see the light shine through the openings in the house. 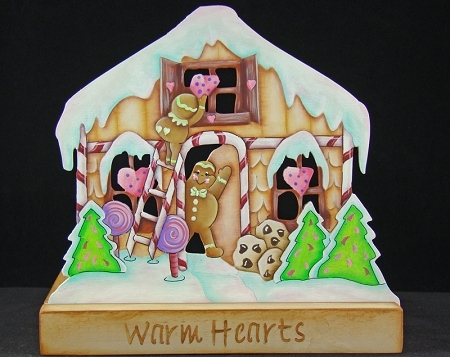 These gingerbread characters are happily decorating this house for the Christmas season. You are purchasing an E-Pattern and once payment has been received you will receive an email with instructions to download the pattern. Just purchased both of the tea lights -- the gingerbread and Halloween Night. Can't wait to get them painted. I love Christie's designs. Great directions and results.